Black and white photograph of a group of women and children in a grassy field with trees behind them. 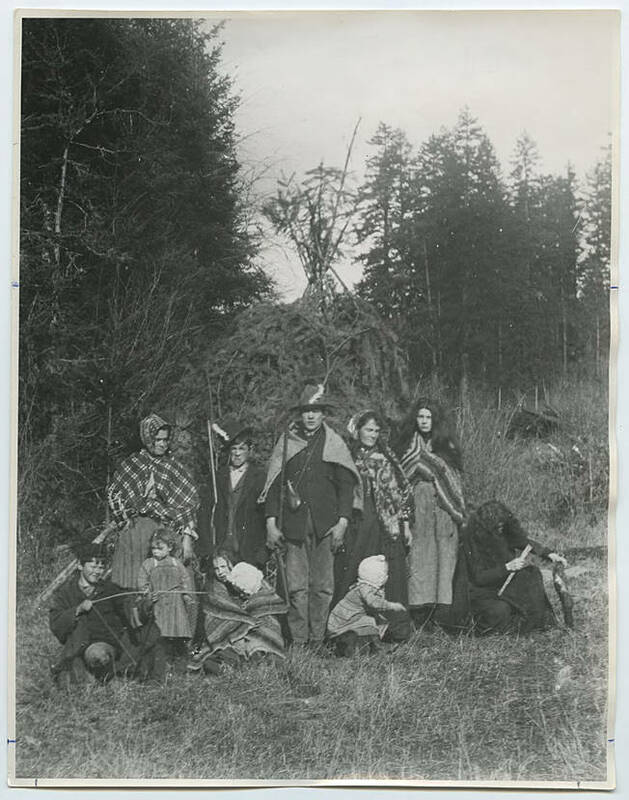 The older children have wrapped blankets around their shoulders, and the boys have feathers in their hats and hold guns. Three girls wear skirts and have their heads covered; two or three small children play in the foreground. One girl kneels with a hatchet, looking at a tree. [Back] [pen] Playing Indians. Nancy Ennis Johnson & children. Martha Ennis Landess ' ' ' '. L to rt stdg: Nancy Johnson; Arthur Landess; Claude Johnson; Martha Landess; Kezia Ingram. 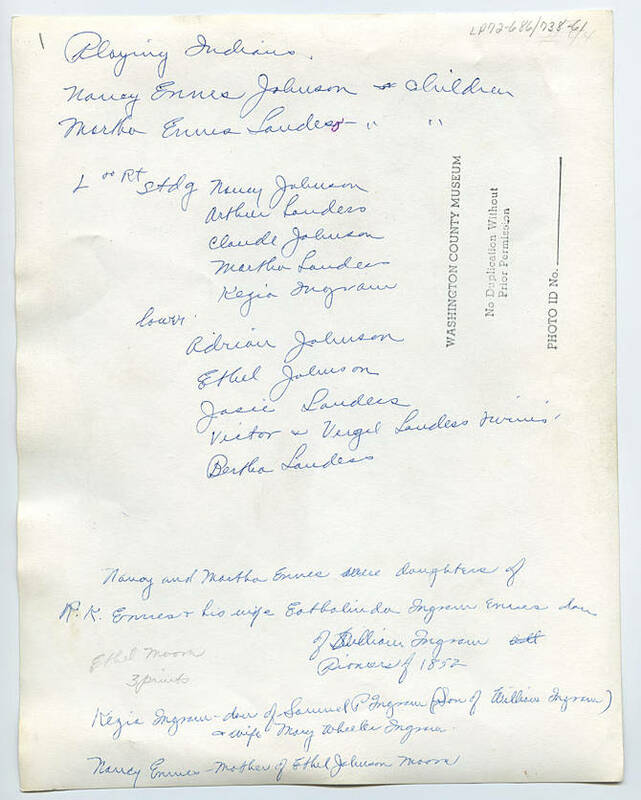 Lower: Adrian Johnson; Ethel Johnson; Josie Landess; Victor & Virgil Landess twins; Bertha Landess. Nancy and Martha Ennis were daughters of R. K. Ennis and his wife, Eathalinda Ingram Ennis, dau of William Ingram, Pioneers of 1852. Kezia Ingram - daur of Samuel P. Ingram, son of William Ingram & wife Mary Wheeler Ingram. Nancy Ennis - Mother of Ethel Johnson Moore.